Hear Ralph Losey discuss ethical issues within the field of electronic discovery. Ralph Losey is a nationally recognized electronic discovery blogger and a shareholder in the Orlando office of Akerman Senterfitt and Co-Chair of Akermans e-Discovery Team since 2006. Ralph Losey is a frequent author in the field of electronic discovery. He has written the ABA’s two best selling books on electronic discovery: e-Discovery: Current Trends and Cases, American Bar Association (2008) and recently Introduction to e-Discovery: New Cases, Ideas and Techniques (2009), and a law review article on the mathematics underlying e-discovery: HASH: the New Bates Stamp, 12 Journal of Technology Law & Policy, 1 (June 2007). He is also the author of a popular weekly blog on e-discovery, e-Discovery Team Blog, which averages over 150,000 visits per year (http://ralphlosey.wordpress.com). In addition, Ralph Losey helped on a previous ESIBytes podcast with Judge Scheindlin on March 18th on law school curriculums and electronic discovery. Ralph Losey is an adjunct professor at the University of Florida School of Law where he teaches a course on electronic discovery. In this podcast, we examine generally why Ralph believes there are more issues with spoliation and sanctions in electronic discovery than in any other area of law. We discuss why these trends seem to be occuring generally before moving into the ethical rules which guide attorneys. We discuss six ethical rules and how each impact electronic discovery. Rule 1.1 Competence, Rule 1.3 Diligence, Rule 1.6 Confidentiality, Rule 3.2 Expediting Litigation, Rule 3.3 Candor to the Tribunal and Rule 3.4 Fairness to Opposing Party and Counsel. Then at the end, we provide some tips on how attorneys can attack the ethical issues and remain compliant and improve their ability to work with ESI. Ralph has also blogged about part of this material on his blog in Lawyers Behaving Badly: Understanding Unprofessional Conduct in E-Discovery. K: Ralph, great to have you back on a second show with us. R: Great to be here, Karl. I like speaking with you and appreciate the opportunity to get the message out there to as many people as possible about the importance of ethics in e-discovery. K: This is a topic that really the more you get into e-discovery becomes apparent as just crying out for attention and you’ve blogged about this topic before. You recently gave a presentation at Mercer University with Judge Facciola, Jason Baron, Professor Monroe Freedman and others on ethics of electronic discovery. Tell me a little bit about that conference, which just focused on the ethics. R: I’d be happy to. It was really quite an incredible, very well run, good conference at Mercer, which is located just south of Atlanta in Macon, Georgia – beautiful campus. We had two full days for a seminar put on by the Law Review there. I believe it was the first academic seminar to address the issues of ethics in e-discovery and also in…there was some other presentations on ethics involving the on‑line provision of legal services and advertising, that sort of thing, but the focus was on e-discovery. In fact, this first came up about a year ago, Karl – it’s been that long in gestation. In reading all of the cases in e‑discovery, where there’s just case after case of lawyers being sanctioned … the latest one is, you know, a law firm alone being sanctioned (Bray & Gillespie v. Lexington Ins. ), not the client, for misconduct in e‑discovery. This seemed quite puzzling to me in that, you know, I’ve been a lawyer a long time – since 1980 – and you didn’t see many sanction cases in the ’80s and ’90s against lawyers. I mean, they would come up, but spoliation was a pretty rare thing. So, I got to wondering, you know, what is going on? Has the legal profession suddenly become less ethical? Nowadays in the 2000s, are we behaving with lower moral standards than we did in the ’80s and the ’90s? I was really trying to figure out why is it that there’s so many sanction cases and that lawyers are being reprimanded so often now, and particularly in the field of e‑discovery. I mean, I think this is the field, and nobody’s ever challenged me on it, where you’ve got more sanction cases involving lawyers than any other field of law. I found it quite puzzling. K: You know, I’ve found if you say something like that enough times, it becomes true. People believe it. R: Well, yeah – no, I would love to see another area of law that has more problems than we do in e‑discovery, but I haven’t seen it. K: I won’t challenge you on it, but why do you think this is growing? Because I don’t disagree – honestly, but why do you think this area is growing with ethical issues? R: Well, this was the puzzler. And so I started thinking about it, you know, and this is a big problem and it’s not something that just happens overnight. And then I got an invitation from the Dean at Mercer Law School, who said they were organizing this event and … we came up with a dream team, several of them were available, including Judge Facciola, Jason R. Baron, and the person that I now co‑teach e‑discovery with at the University of Florida Law School, and that is Bill Hamilton. He came up there. And then we got Judge David Baker, who’s a Magistrate Judge in Orlando, well known (and rightfully so) for his writing of the e‑discovery opinion, In Re Seroquel. Judge Baker is the only person I know who’s been messing with computers longer than I have. He goes back to the early and mid ’70s, so he’s very much of a technophile. We had this kind of dream team of people that were all – you know, we had months to prepare for this event and trying to think out the whole question of ethics. Jason gave a presentation – the way it works is in an academic setting, you make a presentation and then the panel members sort of comment on it. Jason made a very interesting presentation concerning ethics related to search, as you might expect, and it had to do with asymmetric knowledge is the way he called it. In other words, when you represent a client as a lawyer over-and- over again or if you’re in‑house counsel, you become very familiar with their information and you know basically – you have a much better idea of what’s in their information, certainly far better than opposing counsel does. 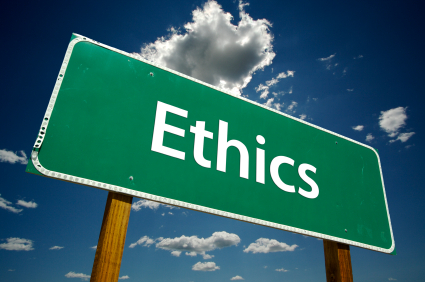 What kind of ethical duties does that create to assist opposing counsel in their search for relevant information? This was the thesis that Jason explored and that was followed-up upon by Judge Facciola in a whole area of discussion. My area of discussion, though, got back to this puzzling question: why are lawyers behaving badly (kind of a take-off on the popular television show)? I came up with this thing that I called the wicked quadrant, which is four different factors that I believe explain why it is that all of a sudden there’s so many lawyers being sanctioned in the field of e‑discovery. So I gave a presentation on that. In the meantime, I also wrote a law review article further elaborating on my thoughts, and that’s going to be published by the Mercer Law Review, coming out soon in their next 2009 edition. The other thing Mercer did, which is fascinating and I suggest you try and get a hold of this; they made a transcript of the entire proceeding. So you can read Judge Facciola’s speech on this, you can read what Jason had to say about the duty to assist opposing counsel. You can read what I had to say and everybody, including – by the way, the keynote speaker, who was none of us. The keynote speech was given by a legend in academic circles called Professor Monroe Freedman, and he is about – I don’t know – late 70s. Very vigorous and known for his controversiality. He spoke about the ethics of metadata. He thinks that you have a duty to try and find out what your opposing counsel’s metadata is in emails and correspondence they send you. In spite of the fact that many state bar associations say it’s unethical, Professor Freedman takes the controversial view that you have a duty to mine metadata. And so that’s also in the transcript. A very fascinating discussion about that. In fact, I got into a big argument with Professor Freedman about that, as I don’t think that’s proper to do when you’re talking about correspondence between lawyers. He has a strong position, saying that it is in fact a duty to your client to try and do that. K: Is Professor Freedman an attorney as well or just an academic? R: Oh, boy, they hate it when you say just an academic. Yeah, he is an attorney – as a matter of fact, he represents lawyers that get in trouble with bar associations. And he’s written several textbooks on the ethics of law and is a guy that you might retain if you had a problem ethically in front of a state board. So yeah, he does practice law, but very controversial. One appeals court judge … who later became a supreme court justice … was on a campaign to have Professor Monroe Freedman disbarred because he was controversial back in the ’60s and ’70s. He survived. It’s quite entertaining to read what he had to say. So look out for that, the Mercer Law Review with the full transcript. R: I’ll probably blog about that or Twitter about it or something to let people know because I think it’s interesting to hear this kind of discussion. Believe me – no punches were pulled. So anyway, I wrote this law review article called The Wicked Quadrant that will also be included in the publication, and you know I’m honored to be in there with Judge Facciola and Professor Freedman and Jason and all of them. I won’t go into the details, but I will just tell you what the four elements of the quadrant are. … I find there’s a lot of resonance and understanding among the general bar, non-specialists in e-discovery, concerning ethics. They get ethics and understand the duty of legal competence. They know that’s the fundamental challenge that we’re facing here. One of the four sections of the quadrant is that we all have a duty to keep up. We have a duty to learn the new law and like it or not, part of that is – in litigation – e-discovery. So we’ve got to take the time to train ourselves to be competent in this field. The fact that the bar as a whole is not really doing that is one of the problems and leads to this appearance of impropriety. A lot of the impropriety is from not knowing what they were doing, and they were making mistakes. It may look like intentional bad faith, but actually, they’re just screwing up because they didn’t know any better. K: Yeah, you know, I’ve found that in law. I mean, if you think back to when you started as a lawyer, this is where – when I was reading this was my – what I first thought about. I remember that first year summer associate at a downtown law firm being asked to research something. And it was almost as if everything I learned in legal writing disappeared from my mind. I walked into the library and I thought, “What do I do?” I must have killed a lot of time. I didn’t want to tell anyone I didn’t know how to start it. And, you know, I got – got through the project but – but it was – it’s almost like you’re not rewarded or there’s this fear of saying I don’t understand this, you know, when it’s the first time you try something. And that – you know, I don’t know if it’s the way lawyers are rewarded. You know, I’ve often heard partner, making partner, is a lot about never screwing up. Anyway, I’m sorry to interrupt you. R: No, it’s – you know, when I got out of law school, the UCC had just been enacted a couple years before. None of the older lawyers knew the UCC and it was a tremendous opportunity for young lawyers to make a contribution immediately. That’s the same situation we’re in now. When you and I did the show before it was on education, so you’ve heard me talk about this before. Young lawyers just getting out of law school now or just starting practice, there’s a tremendous opportunity for you if you can get the competence necessary because a lot of the older attorneys – the ones that are my age – they’re just not going to take the time and it’s just inherently difficult for them. I started thinking about it and it is more than just a question of legal competence; it’s also a question of technology competence. That is a key part of the quadrant, the four factors to understand why lawyers are screwing up and behaving badly, is because they’re just overwhelmed by the technology. Most lawyers don’t get it, they don’t understand Face book, they don’t really understand how email works, how deletion works, they don’t know what double-deletion means. There’s just a lot of things that are confusing to them. This technology incompetence leads them to do dumb things in cases like say, “Oh yeah, we’ll review that back-up tape and produce the relevant emails to you next week, Your Honor” when of course they have no clue that there’s 10 million emails on that back-up tape. They just – they don’t know really what they’re talking about. So that’s a big part of the explanation is that we’re in an unprecedented explosion in technological advances. A lot of us lawyers are having trouble keeping up with the ever-changing information revolution. So that’s another part of the quadrant. And then just real quickly, the other two quadrant sectors are the ethics rules – and we’ll get into this in a minute – where you have the client advocacy duties balanced by the professional duties to tell the truth to the court and the duty to opposing counsel to cooperate. That hasn’t been getting enough attention among lawyers until very recently with Judge Grimm and the Sedona Cooperation Proclamation. The professional duties have been over-shadowed by that other very popular duty to vigorously advocate on your client’s behalf. That has gotten out of hand on occasion and that’s the other part of the explanation. Because this is the kind of thing clients understand; they see when you are shouting on their behalf and they may reward that financially. But they don’t understand why it is that you may have a duty to disclose email that’s going to hurt their case and you have a duty to cooperate. So that gets less financial rewards. I get into the economics involved in all of this as well. Again, I don’t want to get into too much detail except to say the law review article is coming out soon and if you have my second book, Introduction to E-Discovery, Chapter 6 begins with a version of this same article. … from page 385 all the way to 404. … Then in the book, I get into all of the lessons of Qualcomm, which of course is the big … e‑discovery ethics case of the decade. Let’s hope there aren’t any cases worse than Qualcomm. K: Yep, that’s true. All right, well let’s go through some of the rules here. Rule 1.1, Competence, of the ABA Model Rules of Professional Conduct says a lawyer shall provide competent representation to a client. Competent representation requires the legal knowledge, skill, thoroughness and preparation reasonably necessary for the representation. Okay, how do we get in trouble here with ethics and e‑discovery? R: This is the core problem and this is, you know, why we need more and better training. The problem is (that) e-discovery isn’t taught in 95% of the law schools, so lawyers are coming out of law school with no information on it, no e‑discovery competence. And in most law firms, except for a very few, typically the larger law firms – in most law firms, there are no e‑discovery lawyers that have done this for years and have gained competence in it one way or the other. So people are all sort of floundering around, which is why your radio show is so important and other educational efforts like that. Believe me, this excuse has been used for a long time in courts. It’s still used today in state courts all over the country. But in federal court, and when he did it in 2006, the response of Judge Pizo was to call that “frankly ludicrous.” That’s a quote. Judges don’t usually call what counsel says ludicrous. Here the judge said it the writing; sanctions were imposed against the plaintiff. This case represents the death knell of this whole, “gee, judge, I didn’t know” as a valid way to avoid doing your job and finding the writings, even though they haven’t been printed out. This “frankly ludicrous” reaction is what I think you’re going to find in every federal court in the country now. They’re just not going to put up with this excuse of I didn’t know how to do it. Although, honestly, we all know it still goes on in state court. But it’s only a matter of time before the state courts won’t put up with it either. K: You know, drilling just a little bit deeper into the competence issue, because there’s just so many areas where this can come up. You know, the podcast that you blogged a little bit about that I did with Judge Facciola and Tom French, we got into the economics. You know, this is going to cost a little bit of money sometimes to do this. Tom French on the plaintiff’s time said, well, if you can’t afford it, you shouldn’t be doing it. You know, he came right out and said that’s an ethical obligation that you have as the lawyers not to take the case if you can’t afford to do it right and to look at the data, which I thought was an interesting thought I hadn’t really thought about too much, to tell you the truth. R: Well, that’s a rare breath of fresh air and honesty. You know, a lot of plaintiff’s lawyers don’t look at it that way. A lot of defense lawyers don’t look at it that way. In fact, what we’ve had – what we’ve seen – this is me getting controversial here for a minute – we’ve seen lawyers abdicate their responsibility to vendors. Now, I know you work for a vendor, too, so you’ve seen it, but you don’t have to give – you don’t have to make any comments, but you know rather than their figuring out how to do it, they’ll hire somebody else to do it and these vendors will end up making a lot of legal decisions. The lawyers don’t really have a clue what they’re doing. Now your company is, I know, one of the good ones and they’re honest, but you and I know that they’re not all like that and that vendors are in business to make money. So what they end up doing is over-review, they look at too many documents. The vendors are not really helping to keep the expenses down because it’s not in their best interest to do so. I think that one of the real reasons e-discovery is too expensive is that lawyers don’t know how to do it right and so they over-delegate it to vendors that don’t have the same motivation as a lawyer might to save the client money. K: One other area of competence I want your thoughts on a little bit is you mentioned the split between large and mid-size law firms, between those who have e-discovery groups or, you know, focus lawyers that understand e-discovery, and those that don’t. Isn’t it also a battle even with the structure, say you’ve done it right and you have that competence established, to get every lawyer to pick up the phone when they have a matter and say, “hey, I may have an issue here”? R: Yeah, it’s – it’s a real educational challenge. The large firms, like my firm, we have the advantage in that, you know, we can have a few people become an expert in it. But then we have the disadvantage of having literally hundreds of litigation lawyers and training them to pick up the phone and do that, that just takes time. Because it’s – you know, it’s like, can you teach an old dog new tricks? Yes you can, but it takes a lot of effort. Litigators are used to doing discovery on their own. It’s a hard shock for them to realize that there may be part of discovery that they can’t handle. They don’t like to admit that, but slowly they will start to and will turn to specialists for help. This point was learned recently by a very good firm, Reed Smith, who has some 1500 lawyers, including some excellent e-discovery lawyers. Yet in the Bray and Gillespie v. Lexington Insurance case just this March, the law firm itself was sanctioned for e-discovery mistakes. It was sanctioned for the actions of two of its attorneys, shareholders. It was an Orlando district court case. It’s not because they didn’t have the law firm resources; it’s because they didn’t ask for the help, these two shareholders just did it on their own. This is the wake up call, the Bray and Gillespie case. I think it’s a huge wake-up call for law firms to start imposing some discipline in making sure that larger firms actually use the resources that they’re given. The citation for that by the way is 2009 WestLaw 546429, Middle District Florida, March 4, 2009. I think that’s a very important case. I know my good friend, Browning Marean of DLA Piper thinks this case is more important than the Qualcomm case because it sends a message to the law firms themselves that you’ve got to make sure that the knowledge is actually being used. The courts are not going to tolerate the kind of activity that happened in Bray and Gillespie and others, which were, in the judge’s view at least, a clear violation of the rules of what’s required for the format of production. K: Ralph thanks so much. You’ve been listening to ESI Bytes. My name’s Karl Schieneman and I’m with JurInnov. Remember to come to ESI Bytes to learn about electronically stored information before electronic discovery “bytes” you back. If you want to hear more podcasts, there’s a whole library of shows located at our website: www.esibytes.com . Thanks again and take care everyone.